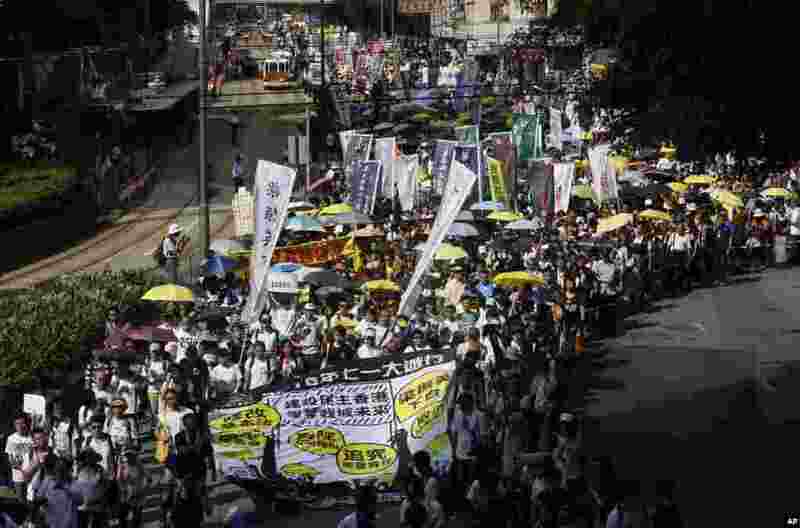 1 Pro-democracy demonstrators march during an annual protest marking Hong Kong's handover from British to Chinese rule in 1997, Hong Kong, July 1, 2015. 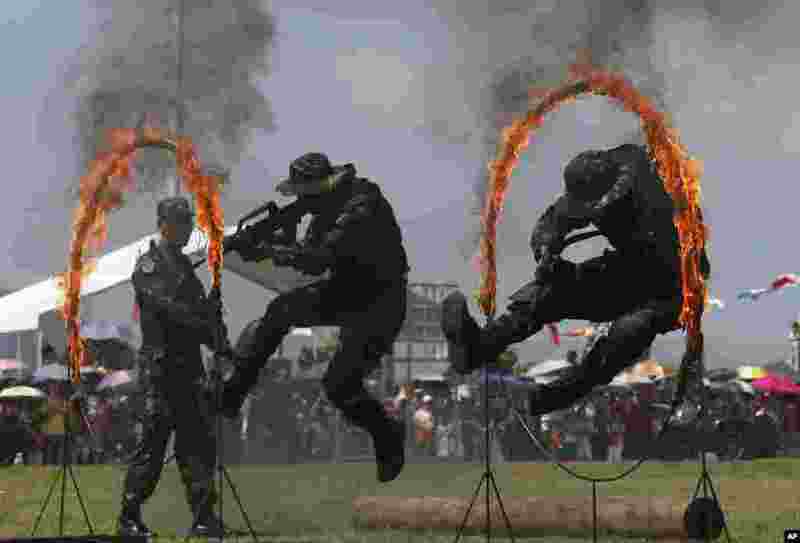 2 Chinese People's Liberation Army (PLA) personnel demonstrate during the opening day of Stonecutter Island Navy Base. The opening marks the 18th anniversary of the Hong Kong handover to China, in Hong Kong, July 1, 2015. 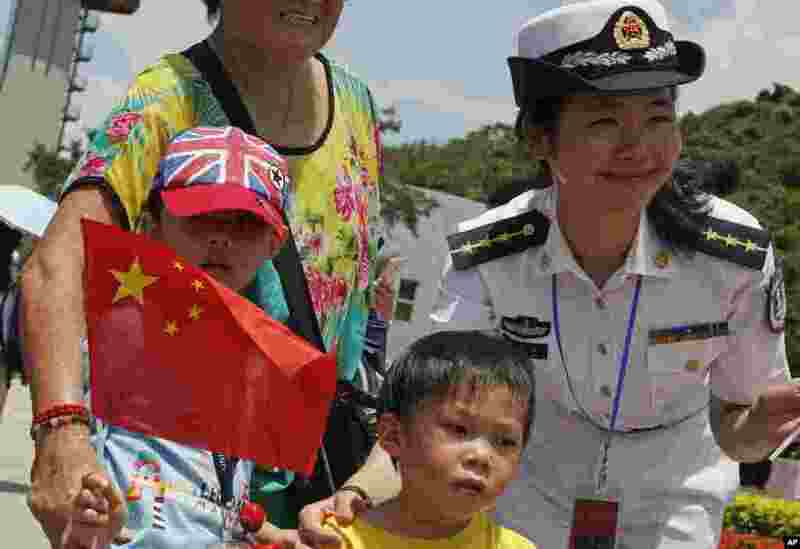 3 Visitors pose with Chinese People's Liberation Army (PLA) personnel during opening day of Stonecutter Island Navy Base to mark the 18th anniversary of the Hong Kong handover to China, in Hong Kong, July 1, 2015. 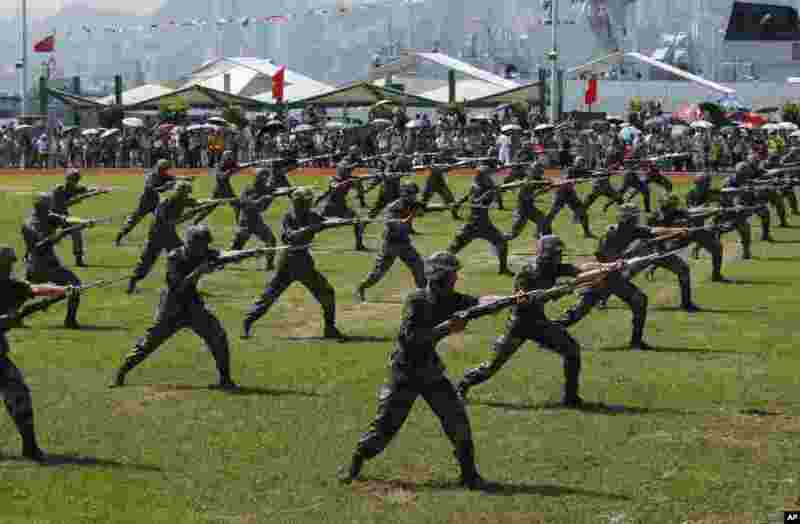 4 Chinese People's Liberation Army (PLA) personnel demonstrate during the opening day of Stonecutter Island Navy Base to mark the 18th anniversary of the Hong Kong handover to China, Hong Kong, July 1, 2015.